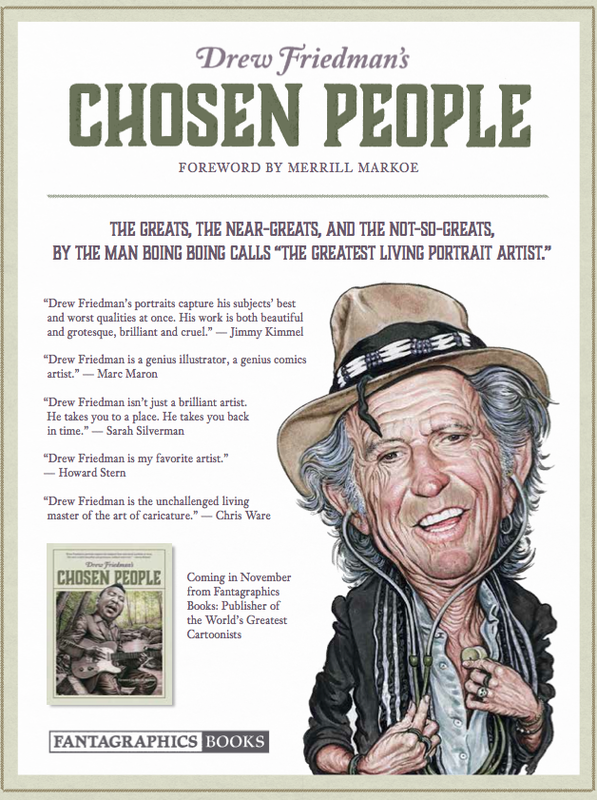 My upcoming book, Drew Friedman's CHOSEN PEOPLE will be released in Nov 2017, and is published by Fantagraphics books. 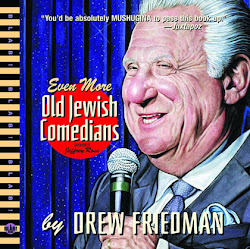 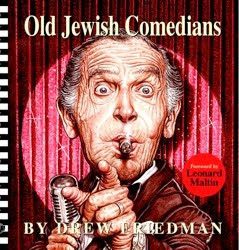 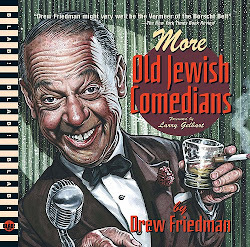 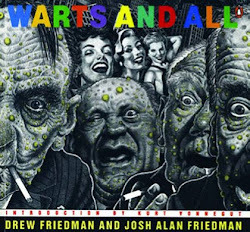 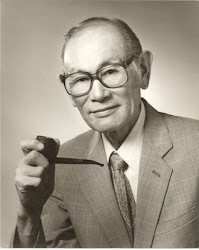 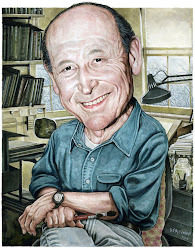 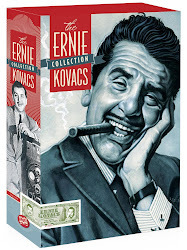 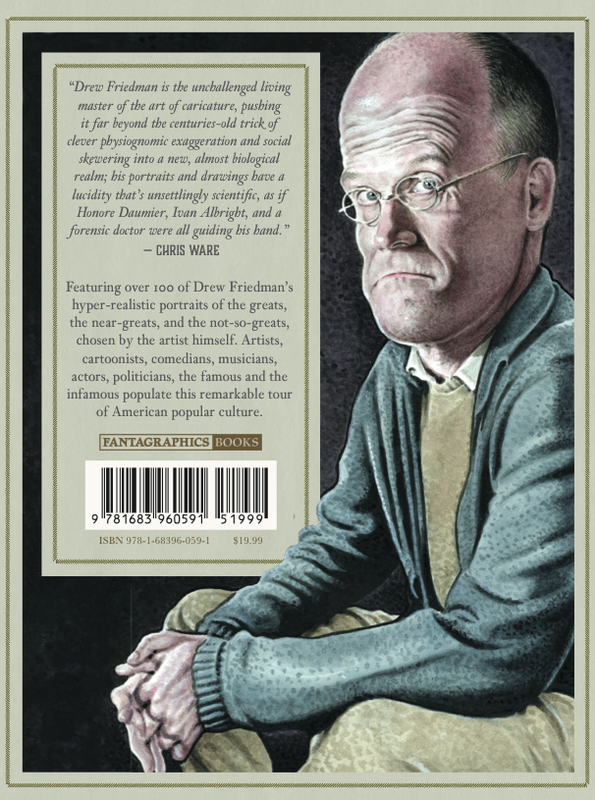 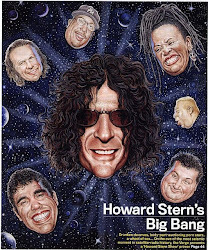 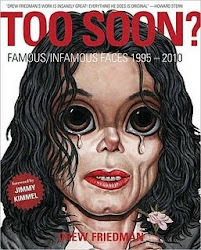 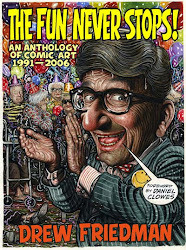 The book features over 120 of my more recent portraits of the famous, near-famous, not-so-famous, the celebrated and the reviled, includings artists, cartoonists, comedians, actors, singers, writers, politicians, baseball players, relatives and elevator operators. 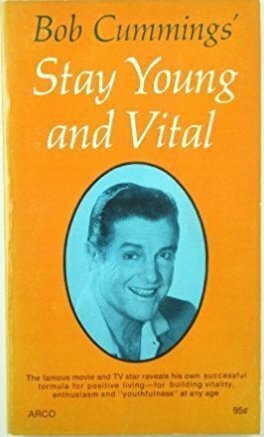 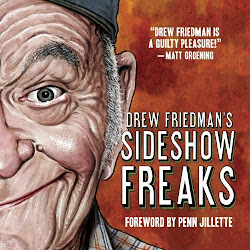 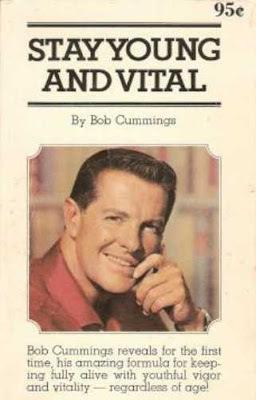 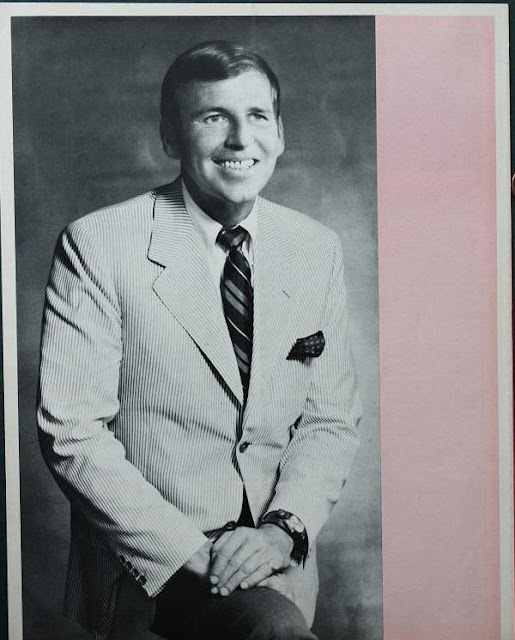 The book features a foreword by Emmy winning comedy writer Merrill Markoe, and is edited by Eric Reynolds and designed by Keeli McCarthey. 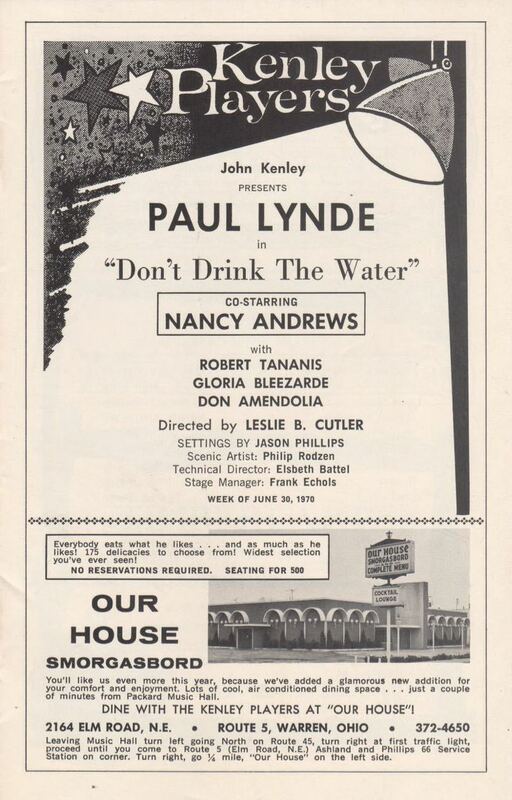 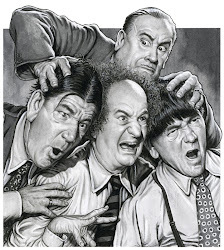 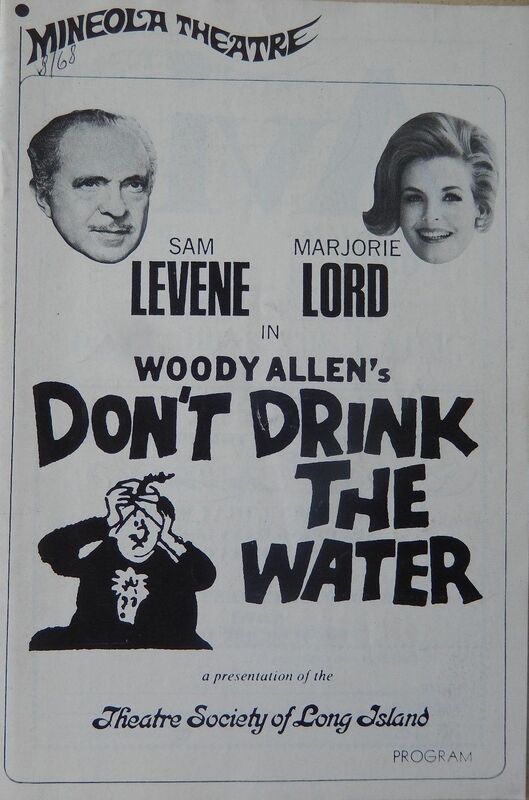 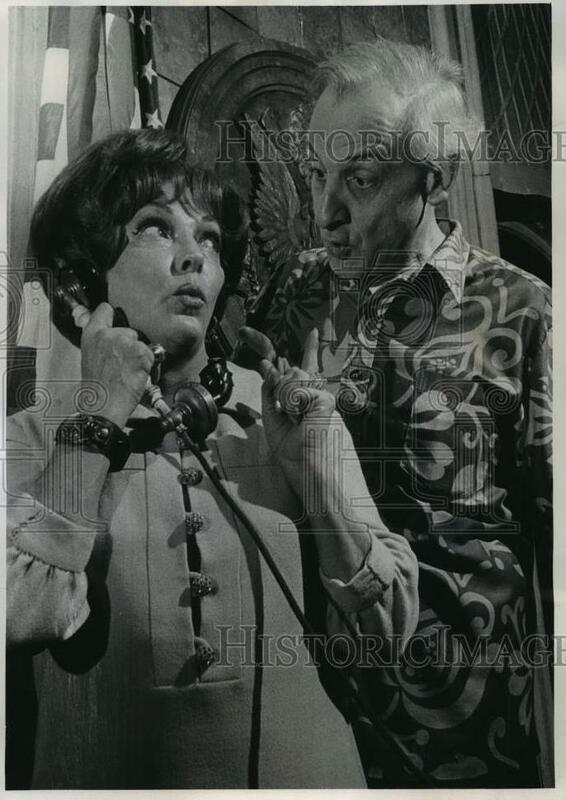 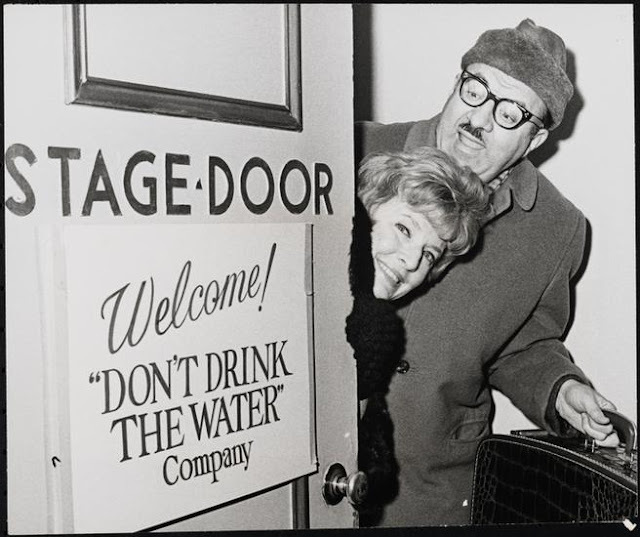 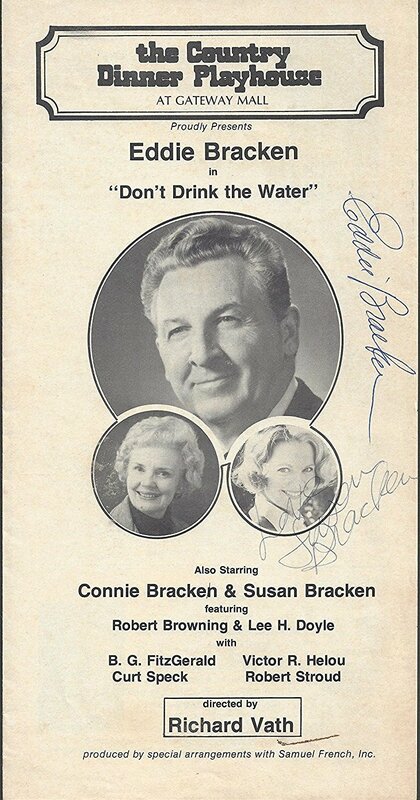 They All "Don't Drink The Water"
co-starred I Love Lucy's Vivian Vance as his wife. 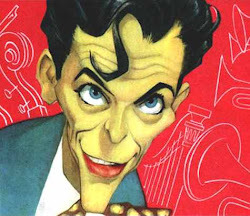 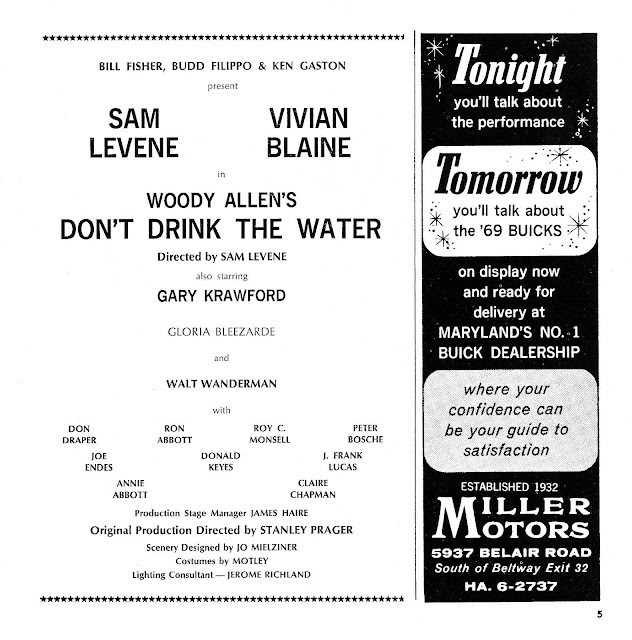 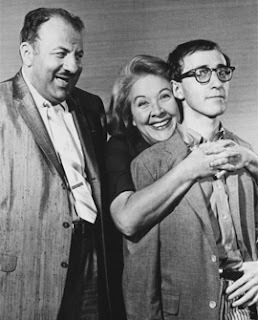 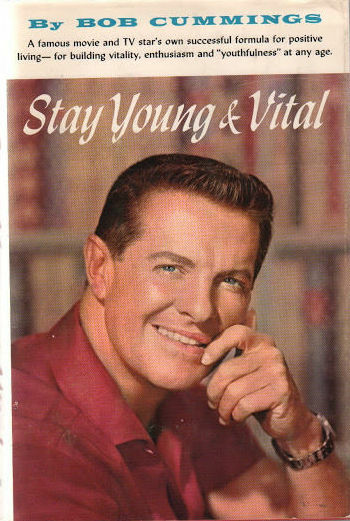 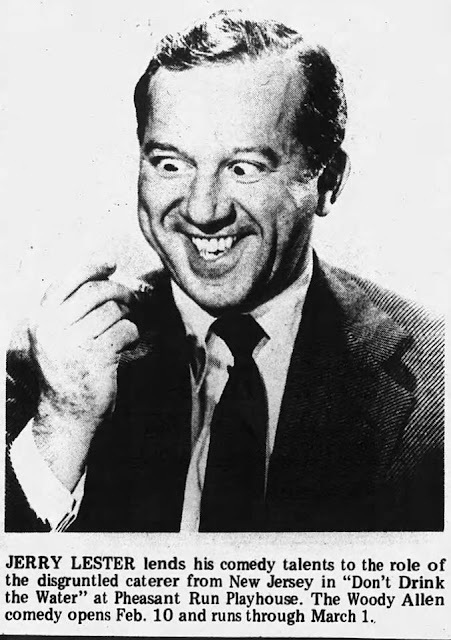 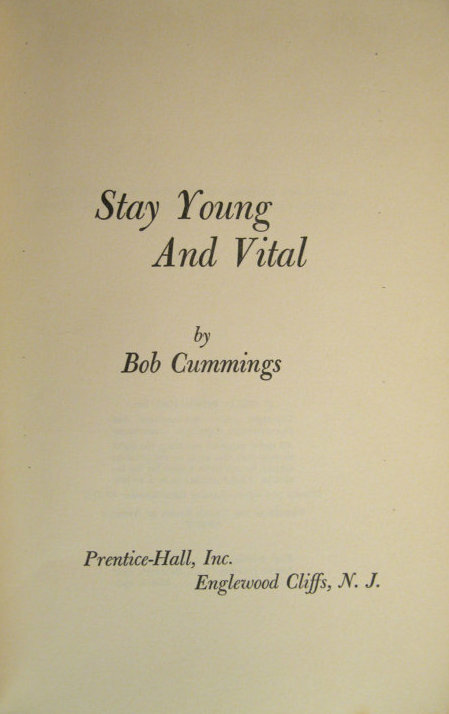 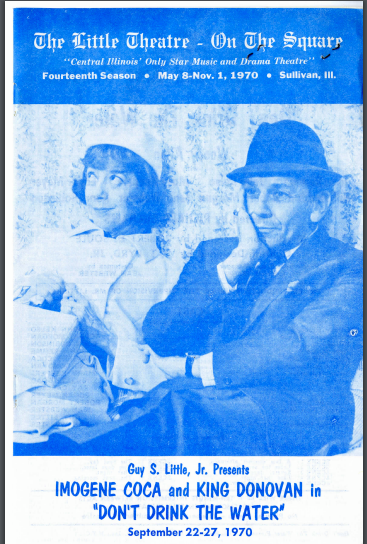 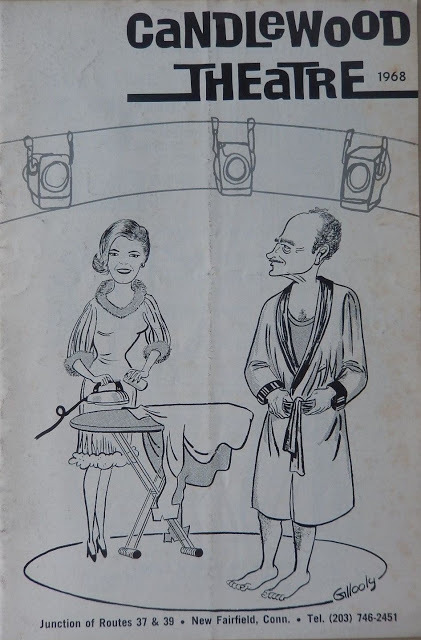 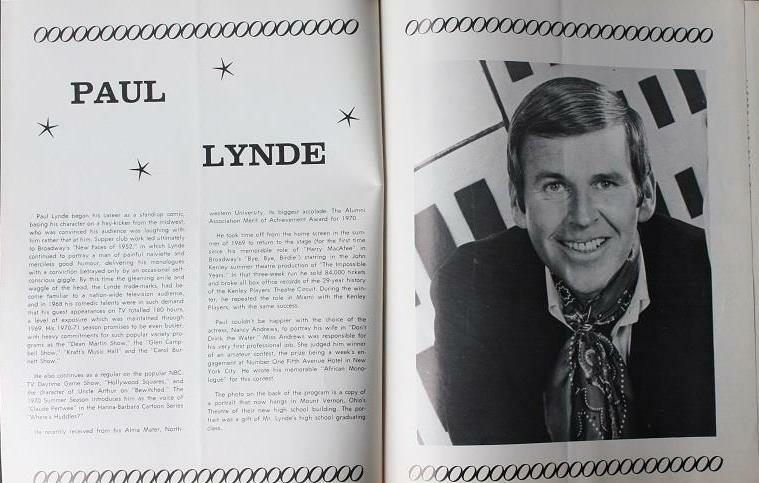 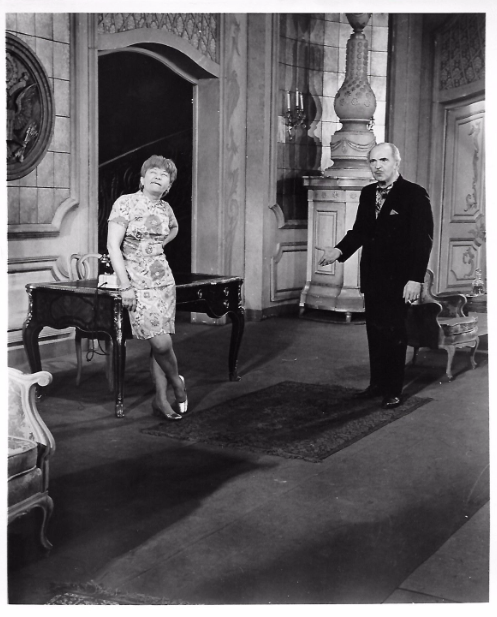 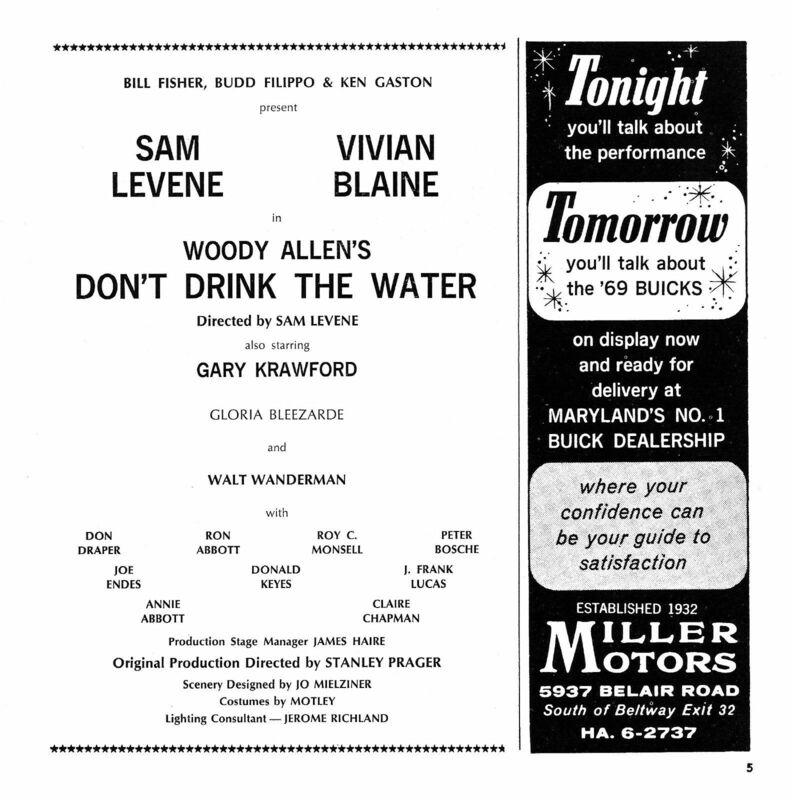 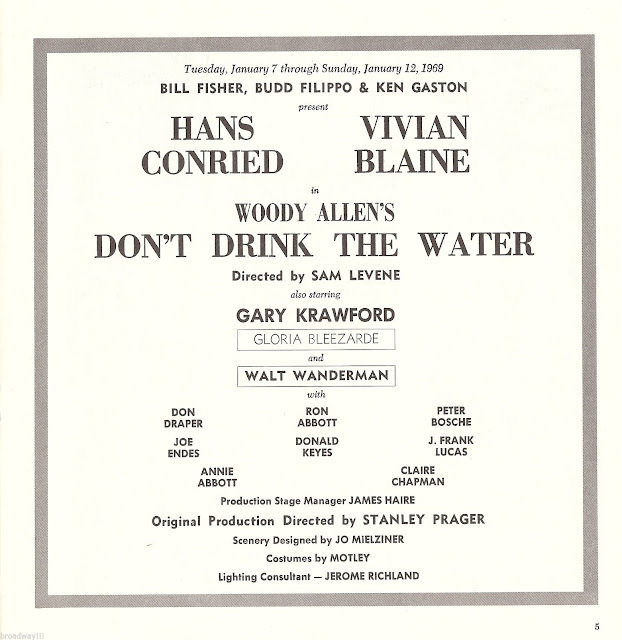 Vance was fired from the play by Allen as it previewed out of town and replaced by Kay Medford and later Peggy Cass. 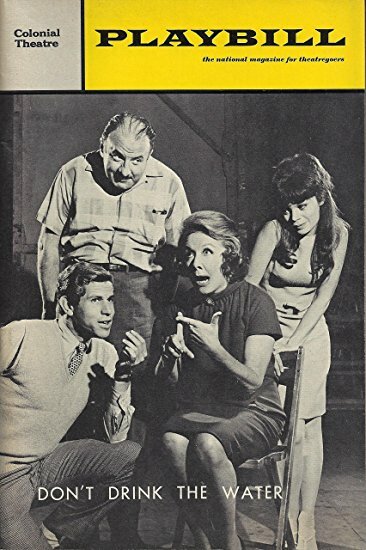 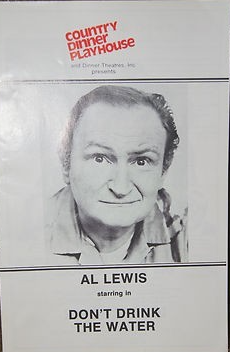 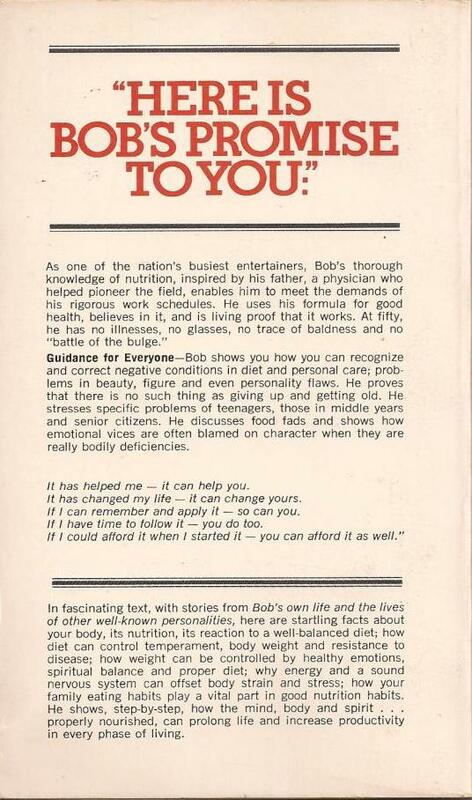 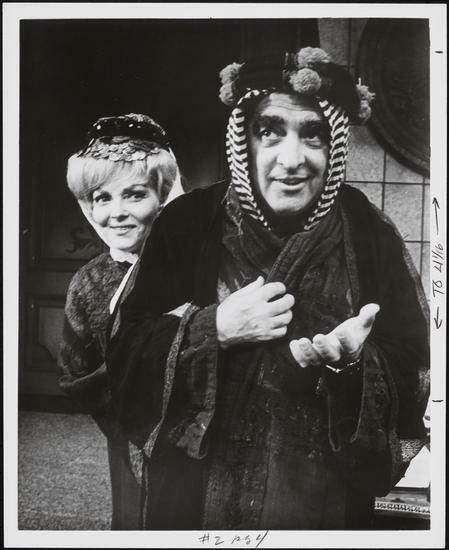 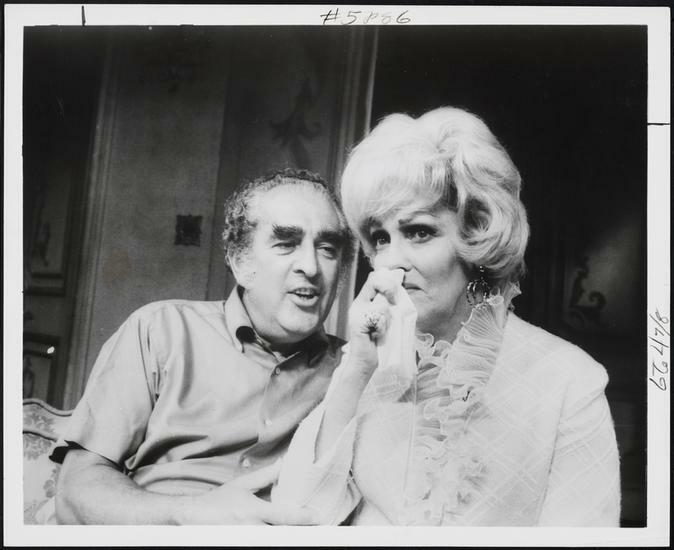 The show opened on Broadway in 1966. 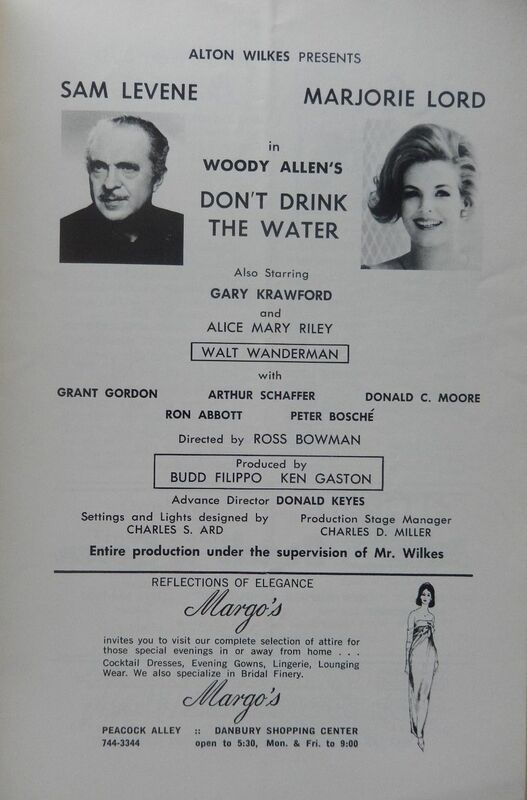 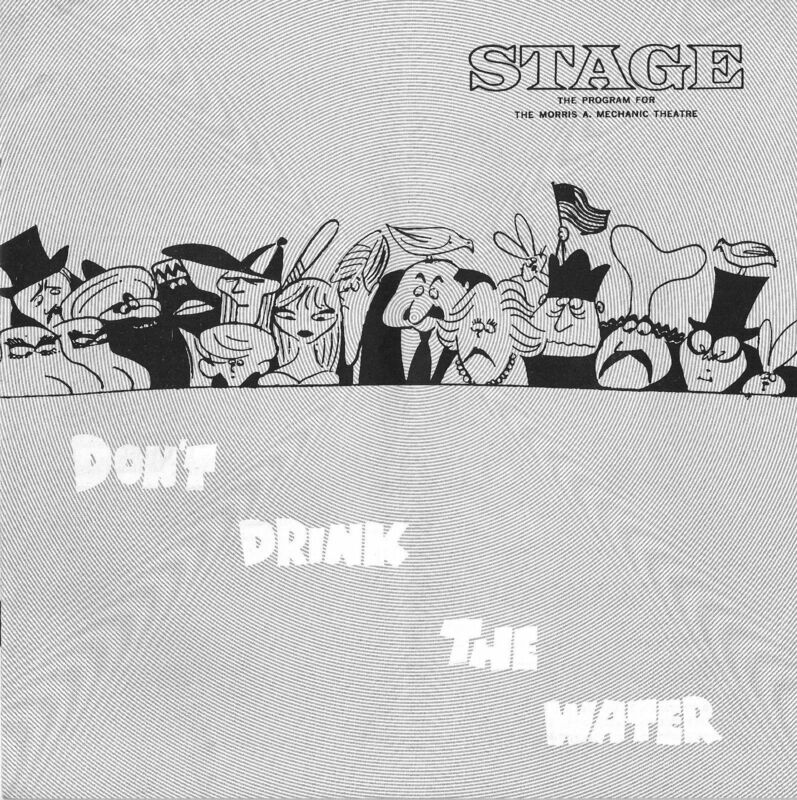 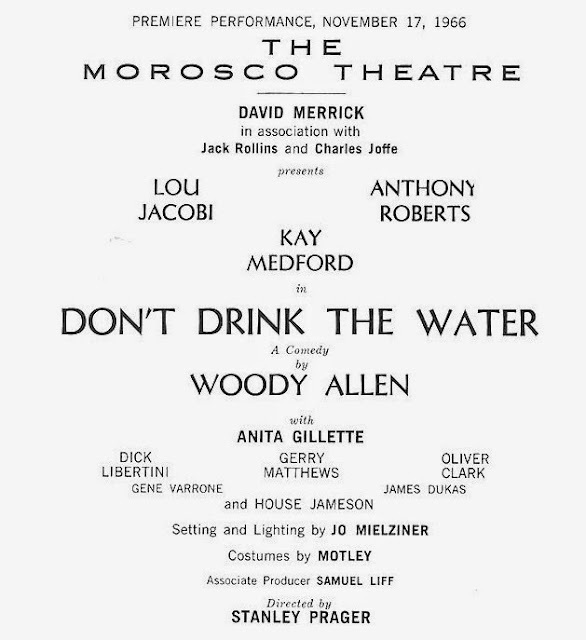 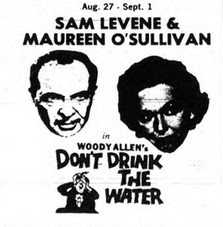 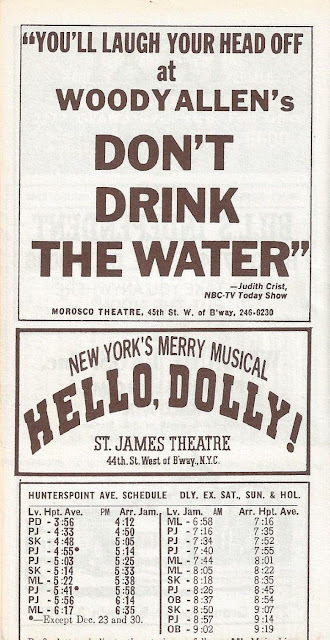 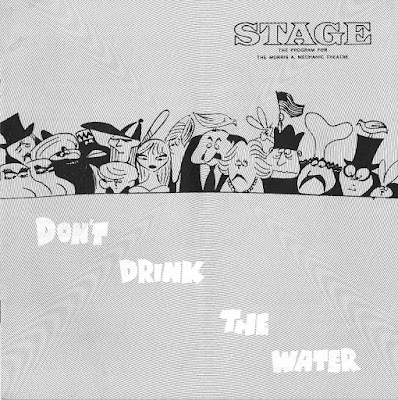 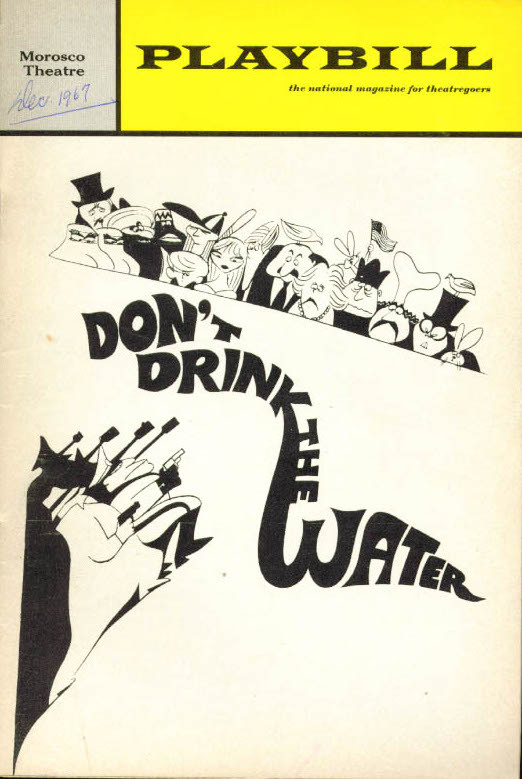 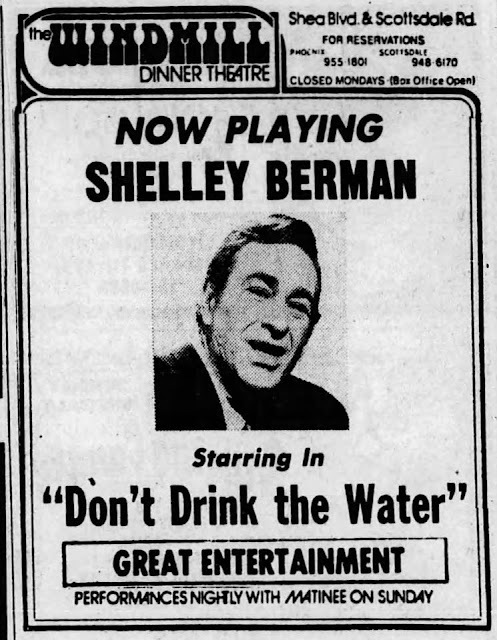 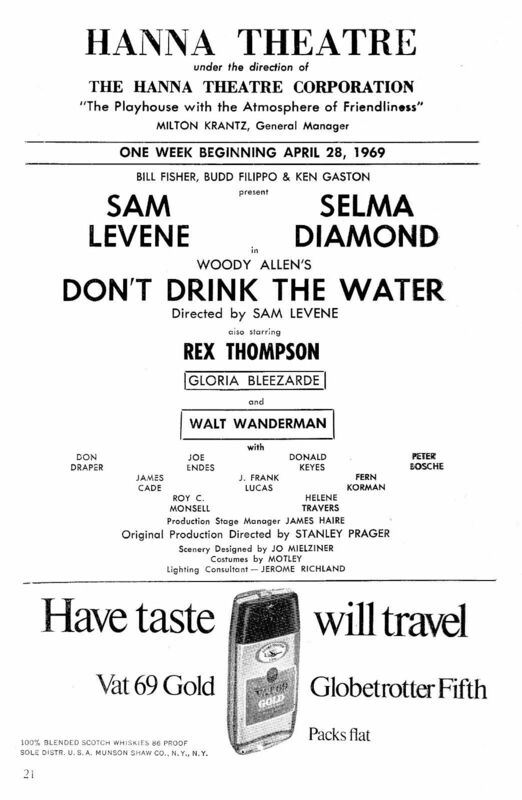 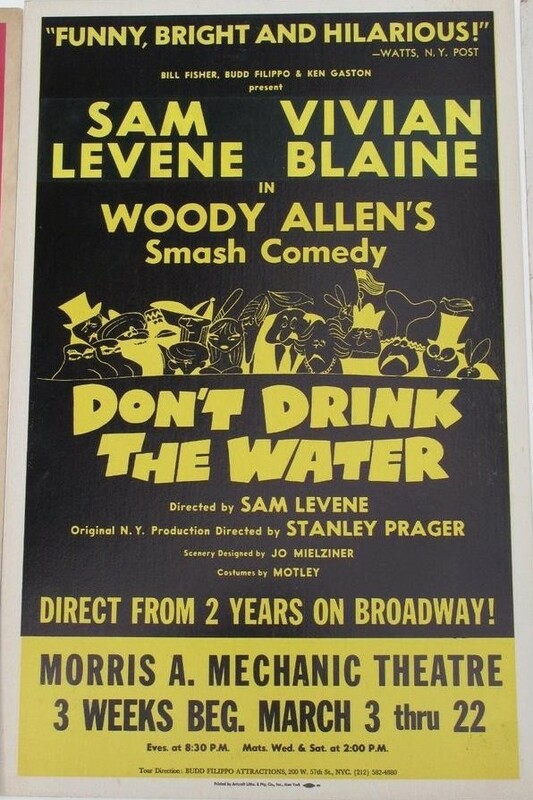 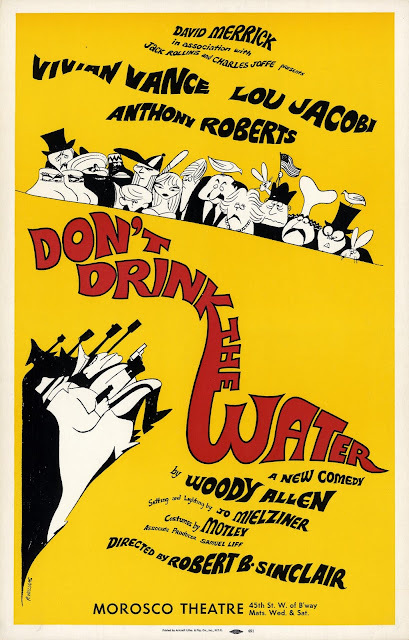 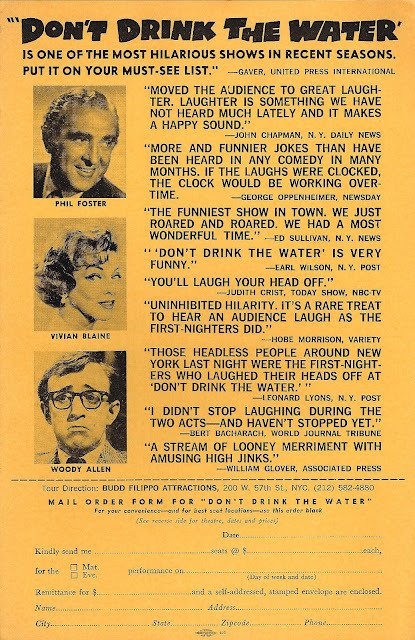 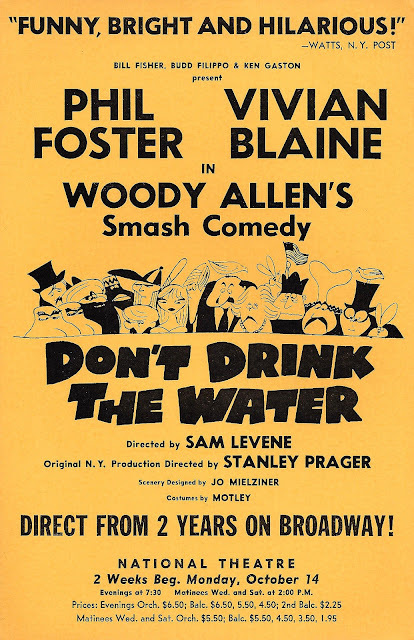 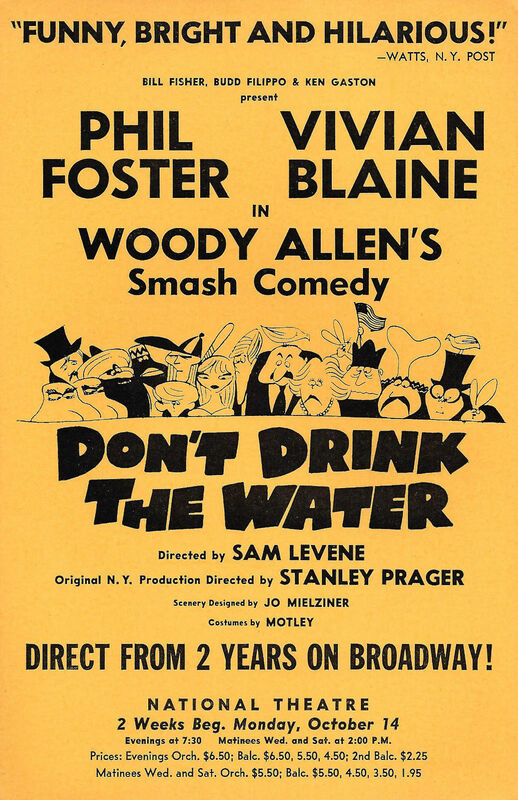 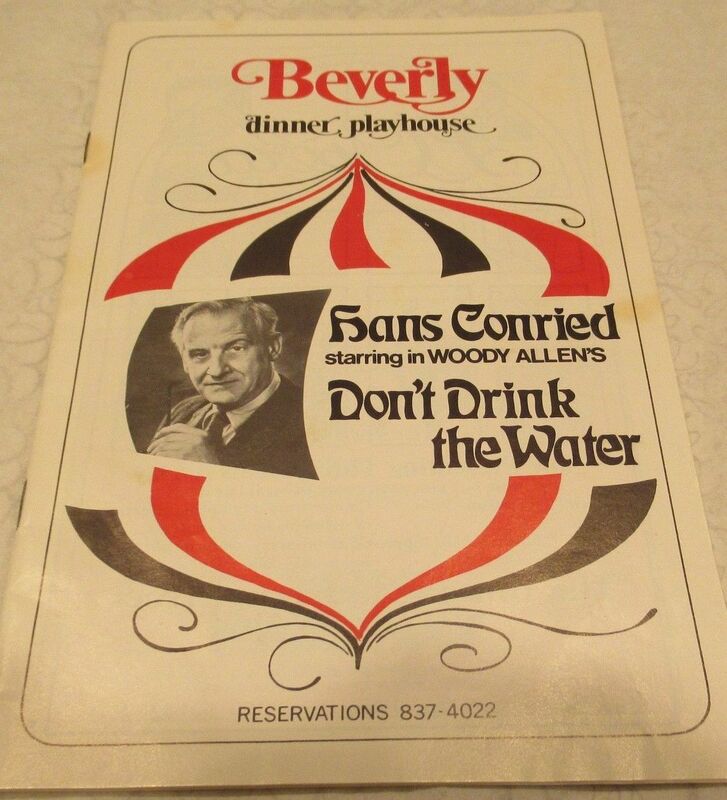 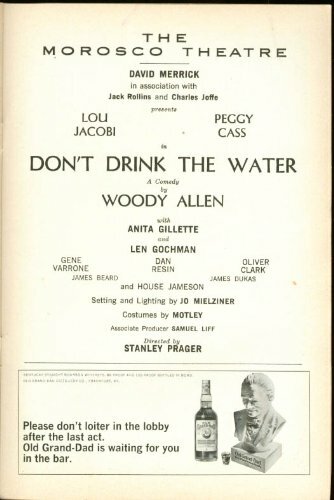 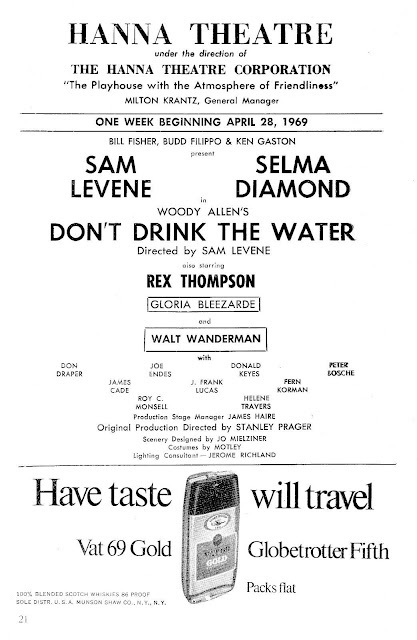 Don't Drink The Water would be revived often after it's successful Broadway run with various revolving touring company casts over the next decade. 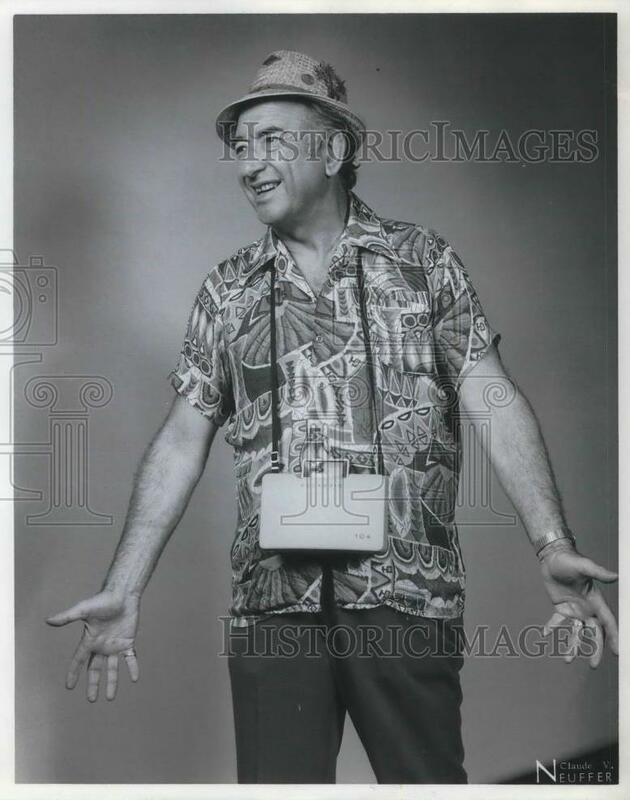 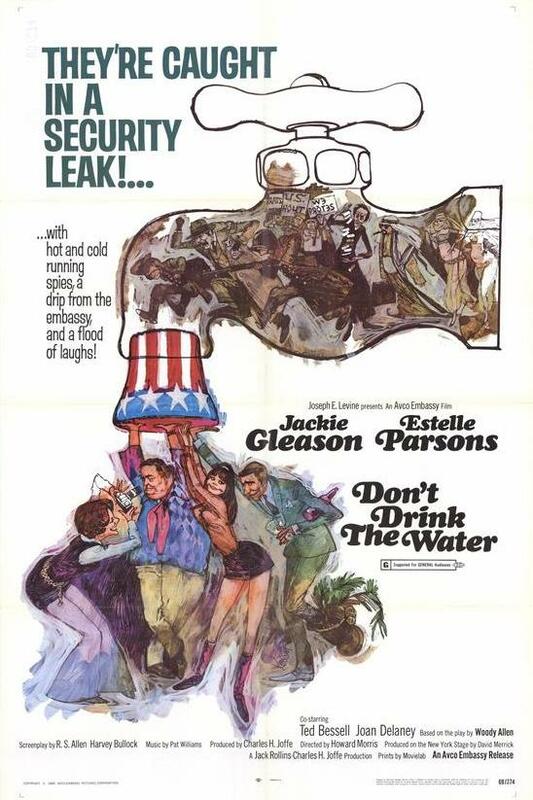 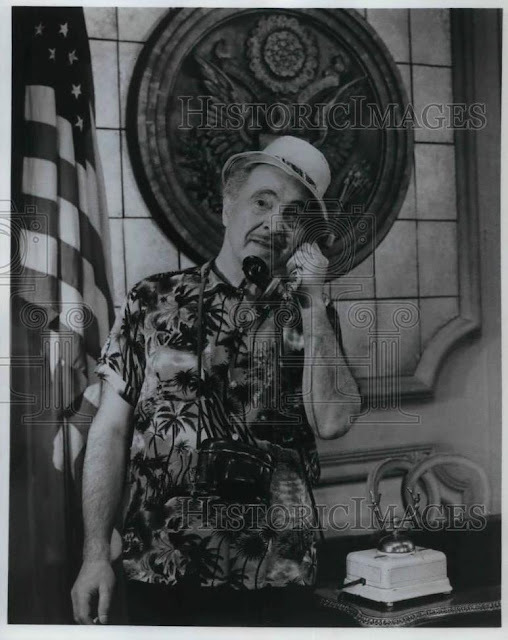 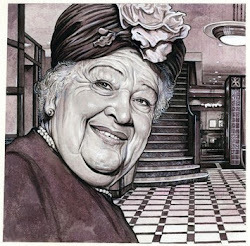 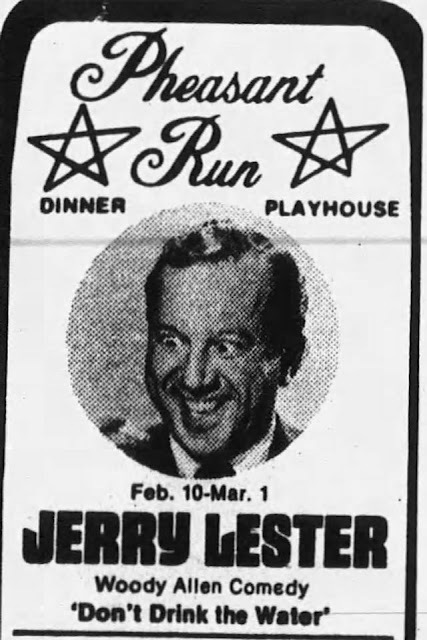 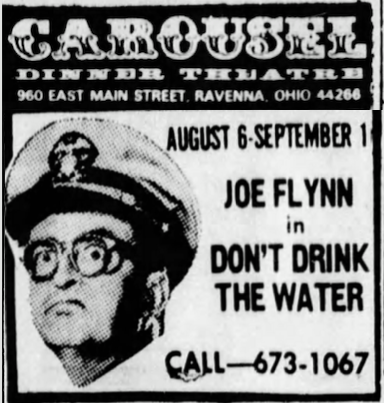 Jackie Gleason (coming off Skidoo), and Estelle Parsons would star in the awful 1969 film version, directed by Howard Morris, which Woody Allen would disavow. 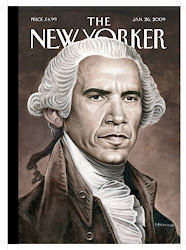 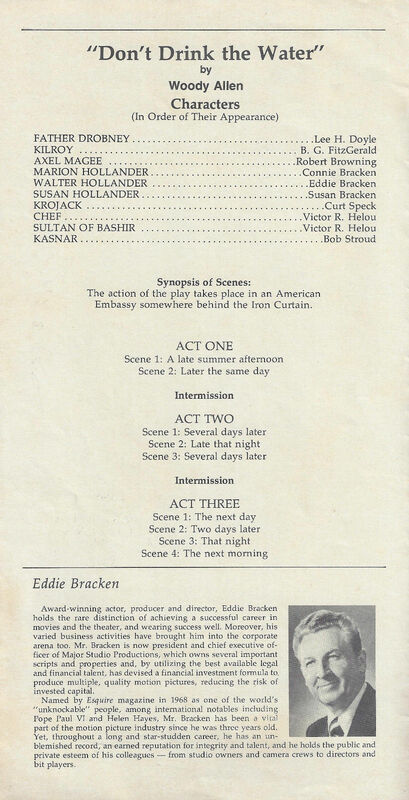 The play takes place inside an American embassy behind the iron curtain. 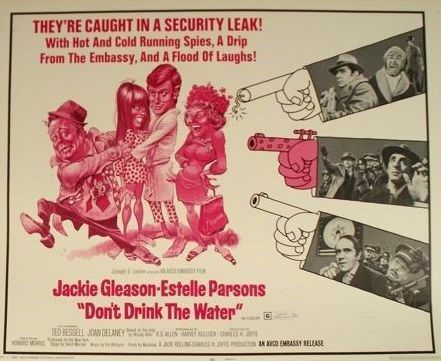 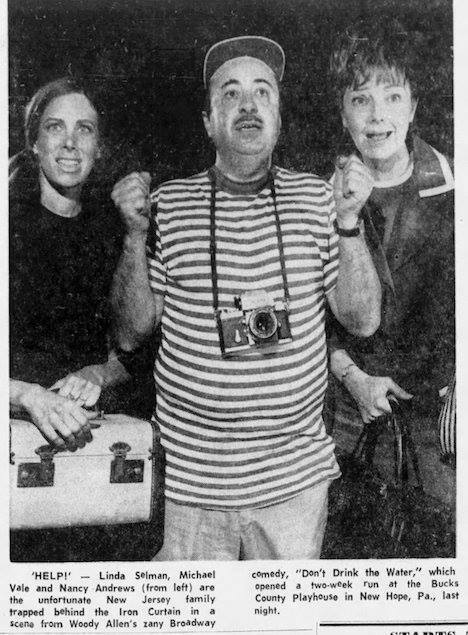 Three tourists, an American caterer named Walter Hollander and his wife and daughter rush into the embassy just ahead of the police who suspect them of spying via their innocent picture-taking. 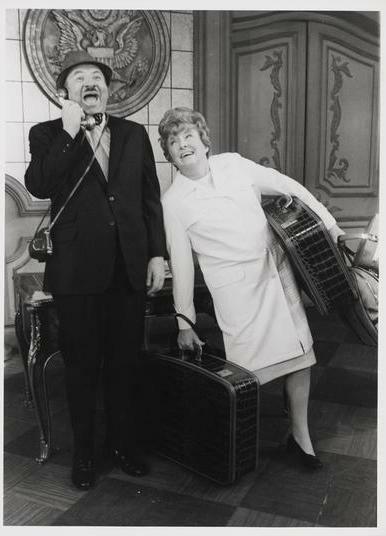 The comedy hijinx ensues from there, including the son of the (missing), ambassador falling in love with the caterer's daughter. 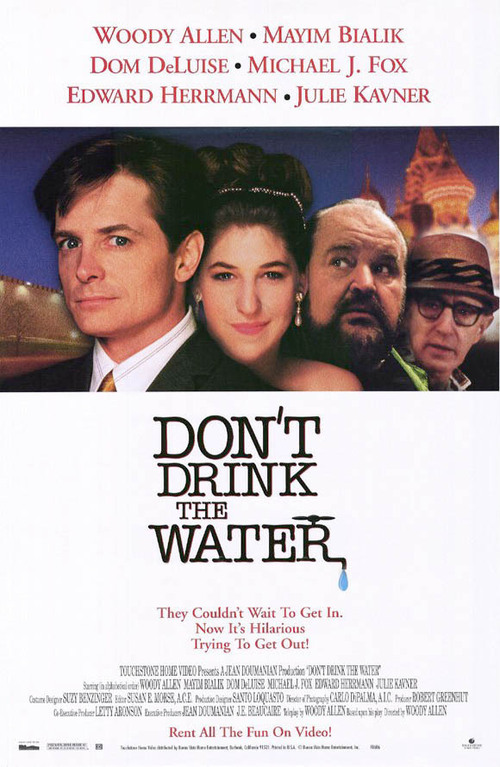 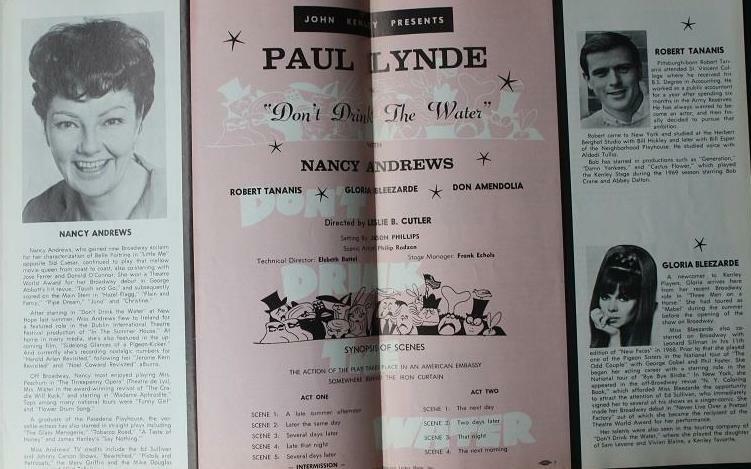 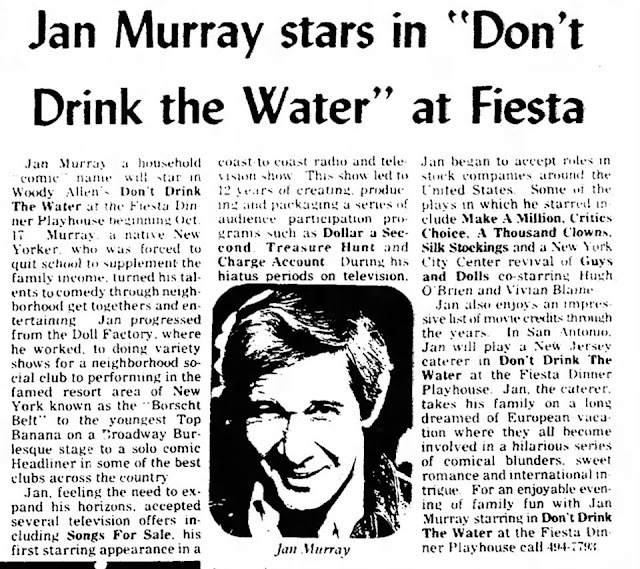 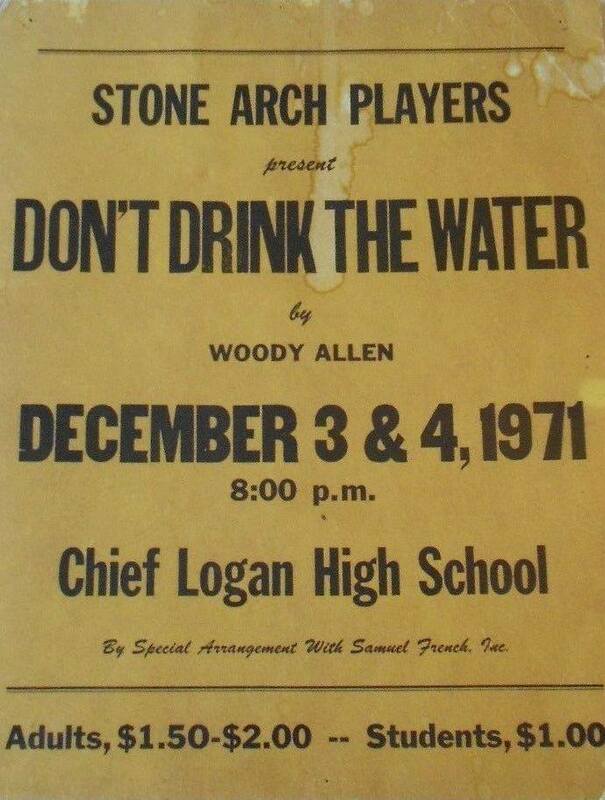 Don't Drink The Water received overall positive reviews and would run for 598 performances at three different Broadway theaters.